Editor’s Note: The following review is the first in a series of Amazing Kids! 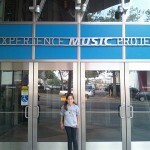 Reporter CityPASS reviews in Amazing Kids! Adventures, featuring reviews of fun kid and family-friendly events and attractions in major cities in the U.S. and Canada in which CityPASS discount ticket booklets are available. All reviews are done by kids! 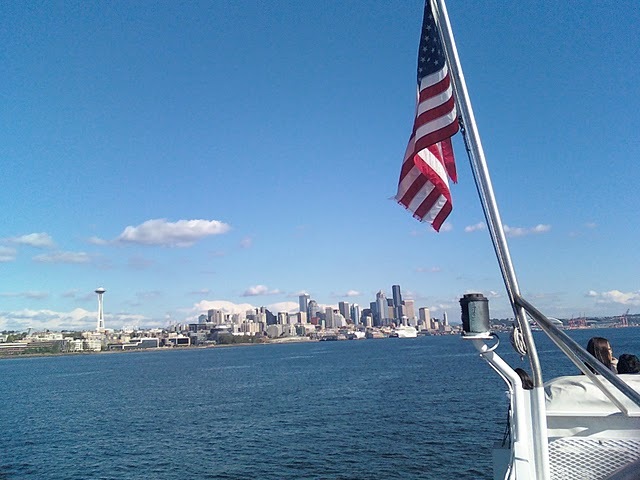 Fun Things to Do in Seattle! The sights, the sounds, the adventure, the CityPASS! 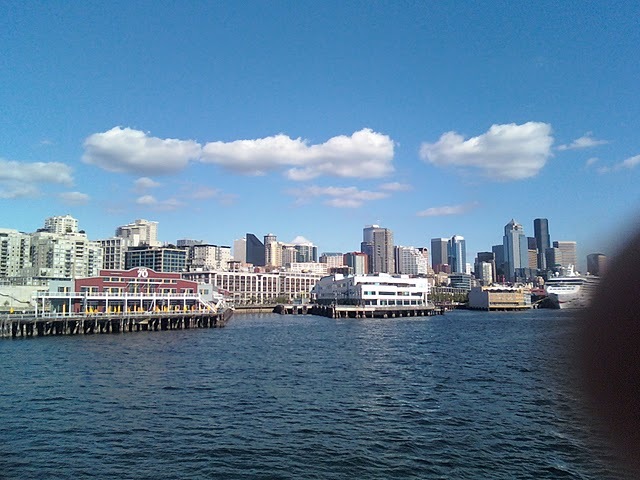 One of the many fun things I did this summer was going on an adventure in Seattle using a discount ticket booklet called the CityPASS (http://www.citypass.com). A CityPASS lets you go to exciting attractions in 11 major cities in the U.S. and Canada for less cost than it is to buy tickets to each attraction separately. When you start your adventure (in whichever city you use it in), you have 9 days to use it. The CityPASS is a ticket booklet that is about the size of a checkbook. The kids booklet is blue and the adult one is black. In Seattle, you can go to the Seattle Space Needle (two times in a 24 hr. 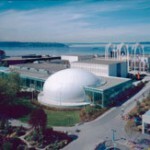 period), the Seattle Aquarium, an Argosy Cruises Harbor tour (1 hour), the Pacific Science Center (including 1 2D or 3D IMAX show), the Woodland Park Zoo, and a choice between the Museum of Flight or the Experience Music Project/ Science Fiction Museum. Mount Rainer is the 5th tallest peak in the lower 48 states! The Puget Sound water is cold…brrr…47 degrees in the summer! 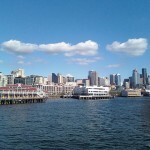 The Columbia Building is the tallest building in the Seattle skyline! 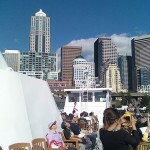 There is an tugboat drag race in Seattle every May. The view from the boat was really awesome. 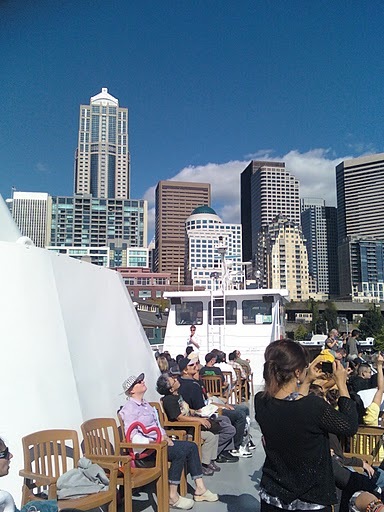 We sat on the top of the tour boat (called The Spirit of Seattle). After the cruise, we went to the Seattle Space Needle. It is 605 feet tall and was built for the 1962 World Fair which had a theme of the “Space Age.” When we got to the top, we went out onto the observation deck. The view looking through the binoculars and telescopes was fantastic! 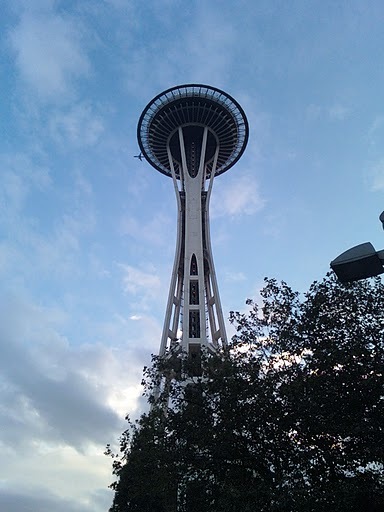 We saw a 360 degree view of downtown Seattle and the surrounding neighborhoods, the Seattle harbor and the Puget Sound, the Olympic Peninsula, the Cascades mountain range including Mount Rainier, and the Pacific Science Center and the Experience Music Project 605 feet directly below the Needle! 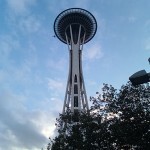 The Space Needle is 605 ft. tall! It was originally built for the 1962 Worlds Fair. We saw a documentary film called The Eruption of Mt. Saint Helens”. Mt. Saint Helens is an active volcano in Washington state. It last erupted in 1980, but it is currently dormant (sleeping). The film showed great close up views of the smoke and ash from the volcano shooting up thousands of feet up into the sky. I was amazed to learn that within three minutes, the powerful eruption flattened every tree within 230 square miles! 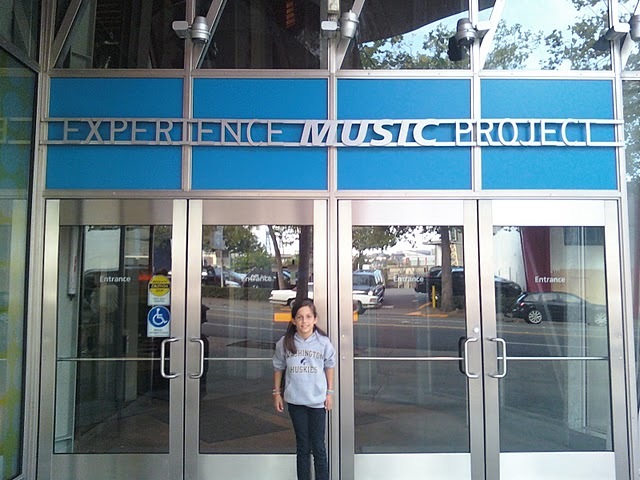 There are several other IMAX movies to choose from too, like Avatar, Hubble 3D (see Amazing Kids! Reporter Olivia’s review of that film here: http://mag.amazing-kids.org/2010/08/27/an-imax-movie-review-hubble) The Living Sea, and The Wildest Dream, a film about climbers who climb Mt. Everest. The Center has fun and fascinating new exhibitions throughout the year. When I was there, I saw an exhibit called Circus! Science Under the Big Top. Their exhibits always have a lot of fun, hands-on activities that kids can try. For example, in the Circus! exhibit, kids could actually get to walk on a high wire (with lots of safety cables hooked up to a harness they wore), or try out a cool bungie cord trapeze, in which you can do somersaults and bounce up high into the air, attached to the harness and bungie cords. Both looked fun, but the lines were too long, so I didn’t get to try it. An upcoming exhibition for this Fall and Winter 2010 is a new Harry Potter exhibit! Like many kids, I enjoyed reading the Harry Potter books, so I am excited about going to see this new exhibit! This traveling exhibit makes its final stop here in Seattle at the Pacific Science Center on October 23 and will be here through January 30th. It’s one exhibit I know Seattle Harry Potter fans won’t want to miss! Another new exhibit will be Mindbender Mansion, which starts on Oct. 2 and runs through January 2, 2011. It will feature all kinds of puzzles and brain teasers to challenge you and test your brainpower. I love this kind of challenge, so I can’t wait to see this exhibit too! A few days later on our Amazing Kids! 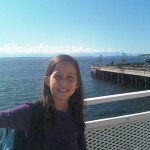 Adventures, we went to the Seattle Aquarium on Pier 59 on the waterfront next to the Seattle harbor. 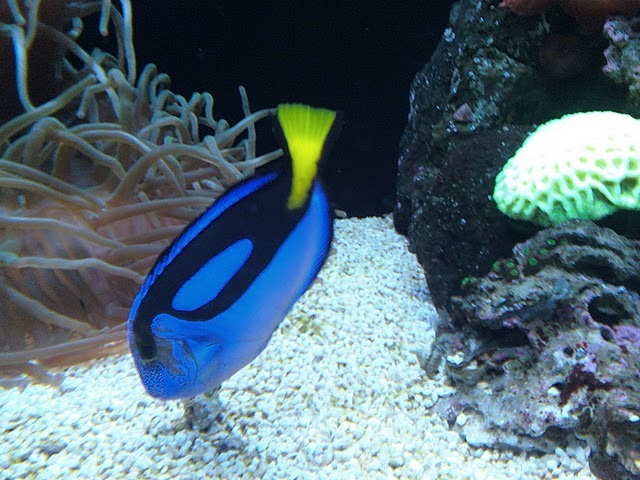 The aquarium features large and small tanks filled with sea life from both the local Puget Sound waters, and the world’s oceans. 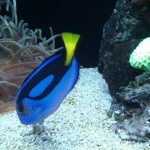 There is one huge 120,000 gallon tank called “Window on Washington Waters” that has an amazing variety of fish and sea life found in Washington. You can talk with divers who dive into the tank three different times each day. There are hands-on “touch tanks” where you can gently touch a sea urchin, sea anemones, mussels and other amazing sea animals (but you can’t pick them up, to help keep them safe). 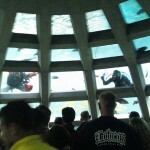 There is also a big dome visitors can stand underneath to watch the fish swim by. 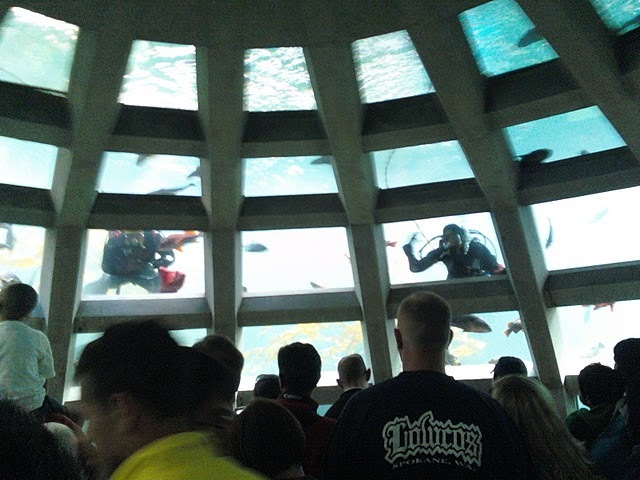 We even got to see the biologists feeding the fish while we were in the dome. 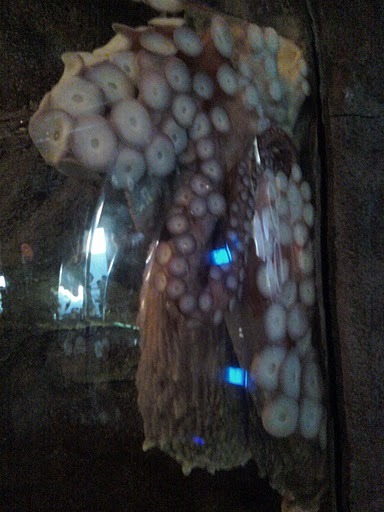 One of the most memorable experiences was seeing the Giant Pacific Octopus. It is huge! It had scrunched itself up into the corner of the tank, in a gooey mass of tentacles and skin. It was white, which means it was sleeping. 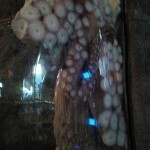 I learned that octopi can change colors (called “camouflage”) and when they are white, it means they are sleeping. 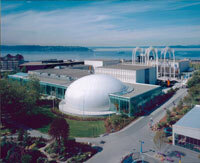 Seattle Aquarium has many educational programs for kids and adults and conservation programs too. I learned from first-hand experience that they have a really fun summer camp program which I got to attend this past summer! 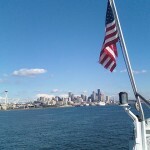 I really recommend it for Seattle kids to do in the summer. You learn so many cool facts about the ocean, that my mind was bursting with information when the camp was over! Kids who love the ocean and sea life will love the camp and could become inspired to become an oceanographer or marine biologist someday. 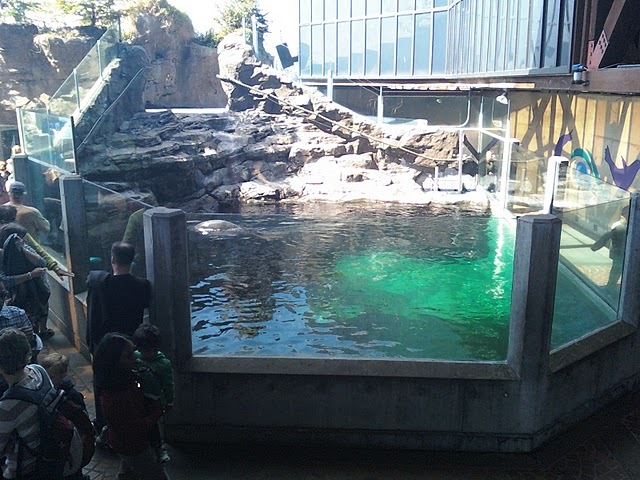 For example, I got to meet an Orca expert and other ocean biologists who taught us about the importance of water in our lives and its role in the conservation of sea life. I didn’t really know about their jobs before the camp, so it was a great learning experience and fun too! 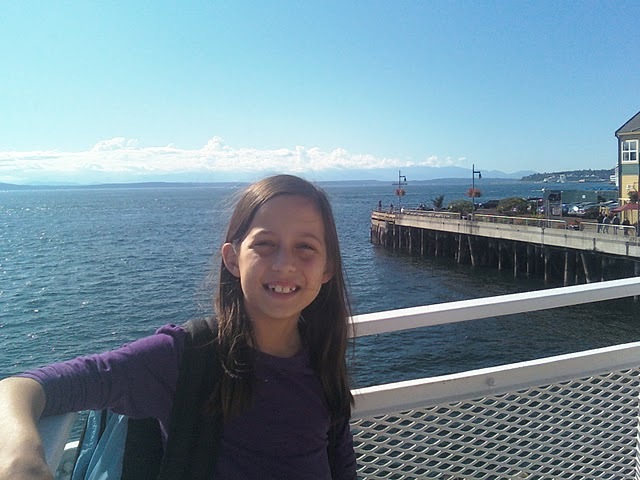 Campers also get to go to field trips outside the Aquarium, so we got to visit the Olympic Sculpture Park and the Pacific Science Center during camp too. 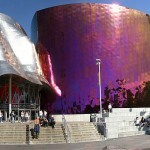 The Experience Music Project (or EMP) and the Science Fiction Museum (SFM) are both in the same building in the Seattle Center, the area of downtown Seattle that is a complex of arts facilities and gathering places for Seattle residents. 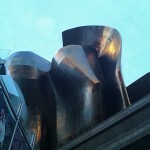 The EMP/SFM building was designed by world-famous architect Frank Gehry and was funded by Microsoft co-founder Paul Allen. Its design is unique and really stands out in the middle of downtown Seattle! 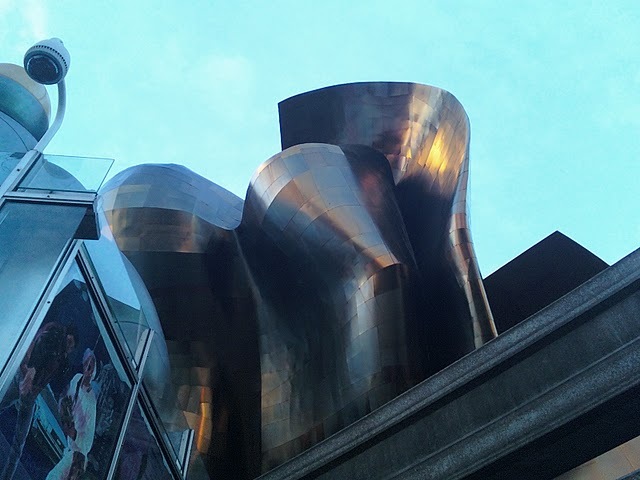 The outer walls are made of metal that curve in interesting shapes (one shape looks almost like a robot wearing a skirt) and are a combination of metallic and bright colors that reflect the light in different ways depending on the time of day and the weather. There are many exhibits including a tribute to Jimi Hendricks, the famous Seattle guitarist and an exhibit about other Pacific Northwest musicians and bands. There is an exhibit with more that 50 costumes worn by the Supremes, as well as some other costumes from more recent all-girl singing groups. 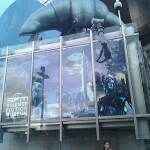 After we finished visiting the EMP exhibits, we went to the Science Fiction Museum. There were exhibits teaching about the history of Science Fiction, there were copies of books from famous Sci-Fi writers and movie memorabilia from popular Sci-Fi movies (but not the most recent Sci-Fi movies like Avatar, at least, not yet!) My favorite part of the SFM was the full sized replica of the robot from the Terminator movie. There were other robots from movies like Star Wars and old TV shows. 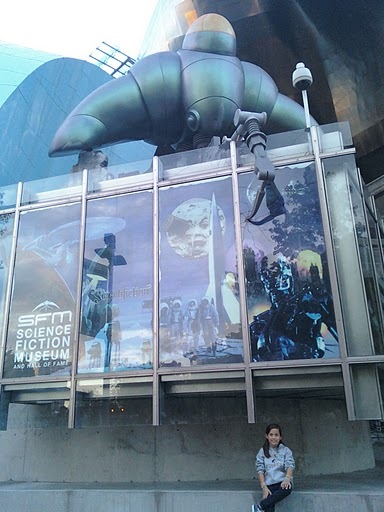 There is also a book store with fun science fiction books and other products for Science Fiction fans. One of my other favorite exhibits showed videos of space ships from Sci-Fi movies, going back to the very old Sci-Fi movie Flash Gordan. It was funny to compare the old movies and their not very technically advanced special effects and designs with the newer movies. 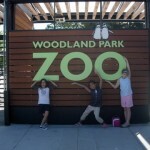 Last stop on my CityPASS Seattle tour was the Woodland Park Zoo, in Greenlake, Washington, just a short drive north of the Seattle Center. 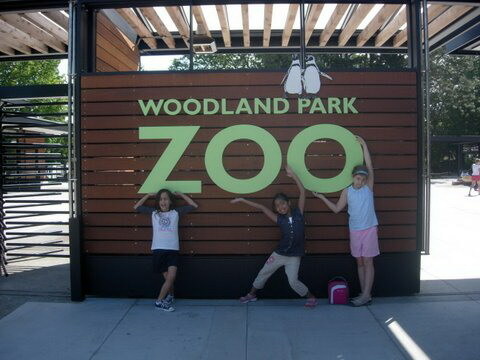 This is one of my favorite zoos I’ve even been to because it has a lot of interesting animals and a fun kids’ play area. I have been here many times with my family and friends. 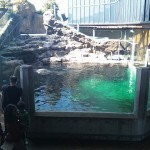 The zoo is divided up into different areas of the world, with animals from those areas. For example, the African Village area has zebras, giraffes, lions and ostriches. It has a replica of a real African Village and school. One of my favorite animals at the zoo is the snow leopard. I’ve always loved big cats and the snow leopard is my favorite big cat. It is endangered though, so scientists are working on ways to help preserve these magnificent creatures. As you can tell, I really enjoyed my CityPASS adventures and look forward to telling you about more fun things to do, from a kid’s point of view, very soon! There’s no doubt that you’ve got one of the most beneficial blogs on the internet. Cheers for the great facts.